If you'd like to try out all of the collaborative features in Boords, but aren't quite ready to commit to a paid plan, you should find that the Team trial is right up your street! You can sign up to the free Team trial here. 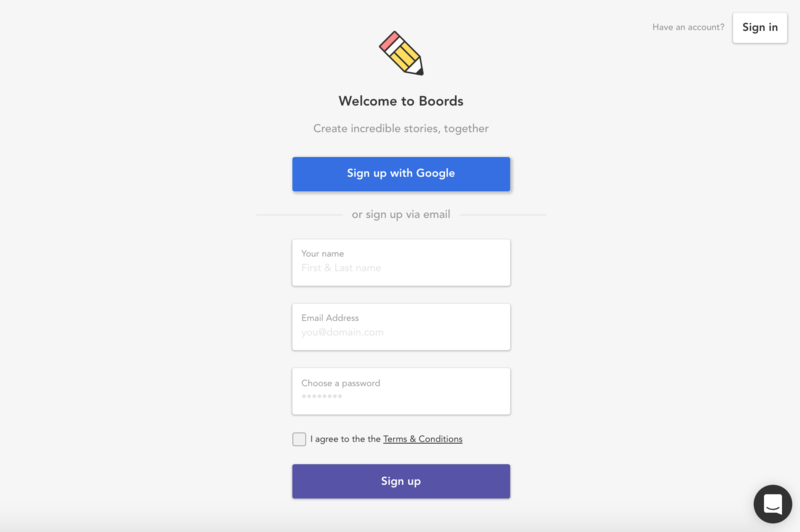 Enter your name, email address and set a password for your Boords account or choose to sign up with your Google account. Before starting the trial, you'll need to enter your credit card details, but you won't be charged for your subscription until the the 7-day trial period has finished. If you'd like to continue using the Team plan after the trial has ended, you don't need to do anything! Your account will continue as it had been during the trial. 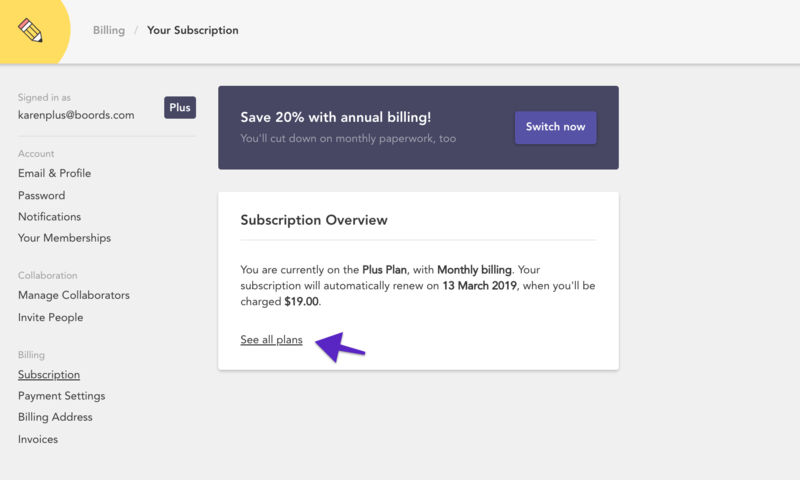 If you don't want to continue on the Team plan, you'll need to cancel your subscription from within the Subscription page of your account. To do this, first select See all plans. 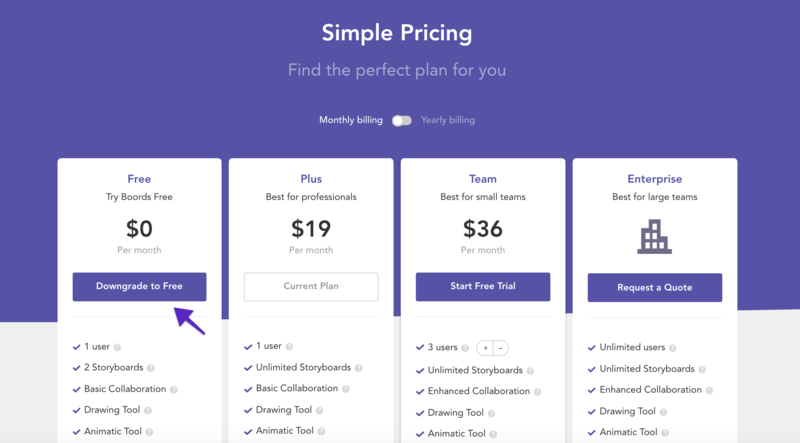 Then, choose Downgrade to Free on the Pricing page.